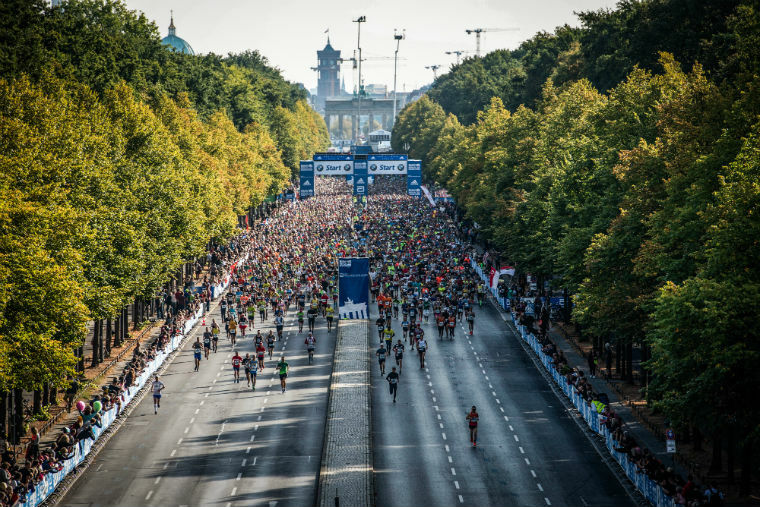 Berlin Marathon Race Review - See. Run. Love. It’s one week since my first visit to Berlin and running this year’s BMW Berlin Marathon. It was my sixth marathon finish and my second fastest time. As far as my race review goes, well I’m a big fan – just want to put that out there, and share my experience. It is overwhelmingly positive and, I hope, informative. First let me clear a couple of things which expose the filters through which I see the world. First, I find it easy it to see the good in things; in fact I make a point of trying to find the joy in stuff, especially small stuff. 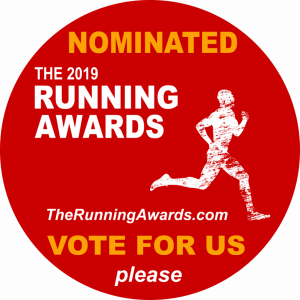 Second, I have prior marathon experience for comparison; several times in New York City (51,000 runners), Big Sur (4,500 runners), and a relative newcomer in the Manchester marathon (10,000 runners and my only UK 26.2). I’m learning how unique a character every event has. It’s Sunday morning, race day, and stepping from the hotel onto the pavement and into the brilliant morning sunshine I pause. With closed eyes I let out a long breath and concentrate on feeling the warmth of the sun on me. Happy and smiling I begin the 15 minute walk to Victory Column. I’m in good company amongst other runners and wheelchair athletes. The starting logistics of this race seem way too easy. It’s a truly beautiful morning and within a few minutes I reach Victory and the park; mature trees, peeling bark on London Plains, mysterious and enchanting trails leading into the woods. It’s 0800 and I’m not worried about knowing where to go – there are plenty runners to follow and the info pack was good and clear. My start corral on Tiergarten is just 20 minutes from the hotel and security at the start village is low key – a quick bag check and I’m amongst it all. My morning alarm was just a little over one hour ago! The corrals feel oddly stress free – people come and go freely with a simple bib check. 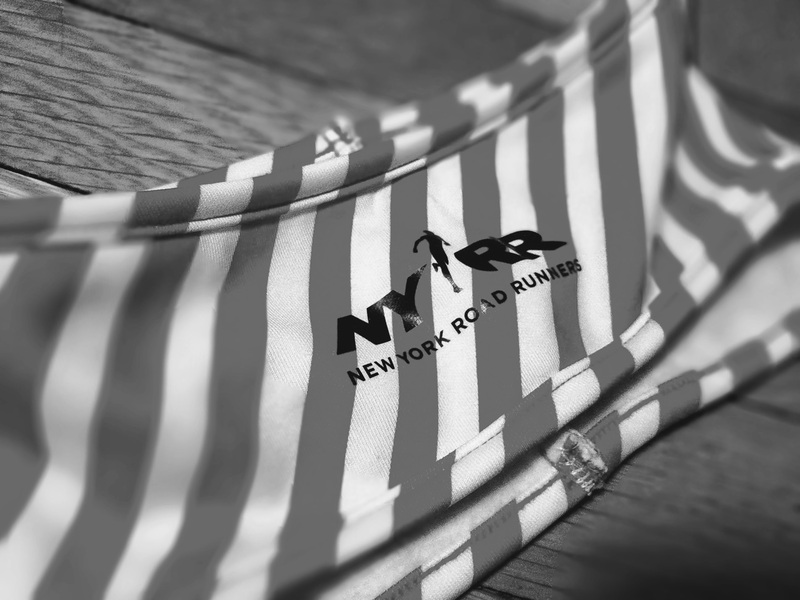 (NYC start corrals are notoriously stressful and strict – it’s a part of the ritual). It strikes me as novel that it can be this relaxed. I’m in my corral in good time, with zero stress, and little energy expended. In recent races I’ve experienced increasingly strong emotions on the finishing straight but here in Berlin I feel emotional on the start line. All the runners are lined up on the course, not some holding area; huge screens show the build up to each wave start – from the wheelchairs and elites through all our waves. Each feels special and dramatic and joyful. Everyone seems relaxed and part of the whole event. There’s a palpable party atmosphere. Berlin does a great job on the start – it’s really special. I’m relaxed and comfortable, in my own head. It’s a privilege to be here and, while it’s not going to be the A-race I trained for and wanted, I’m here and I’m grateful for that. I intend to finish – if my body allows. Our wave moves forward and my race begins . As I start I smile large, and think about the plan for seeing my girlfriend at our hastily planned three stops along the course. The miles begin to tick by one by one. I switch between a focus on executing my plan-B, being in the moment absorbing the sights, sounds and atmosphere, and rehearsing the way-points where I get to see George. It’s my first marathon where I plan to not PB and I enjoy the new sense of freedom this allows me. I was so relaxed about this race I hadn’t studied the end of the route. By mile 20 I was just happy I’d executed okay and was going to finish. I was slowing and my hips were complaining like I’ve not felt before. I was focused wholly on finding the Brandenburg Gate. Where the hell was it? It felt like it should be around every corner, and at every corner in those last 2 kilometres there was just another corner. It was infuriating! My mental endurance was disappearing fast. But come it did, and it energised me for the finish. Once through the gate it’s a short straight to home and that medal! 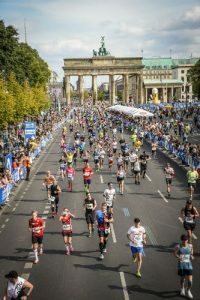 The Berlin marathon is usually held in the last week of September, but came two weeks early this year (Sept 16th) in its 45th running. It was a mighty warm twenty-something Celsius, exceeding the typical 15 degrees for late September. The warmth didn’t get in the way of good things happening. A new world record was set for the fastest marathon completed by an Elvis (2:37:04). Gladys Cherono set a new course record (2:18:11) and of course Eliud Kipchoge smashed the men’s world record (2:01:39). Public transport is pretty easy. The hardest part was getting the train from the airport, mostly due to us insisting on getting the express, despite it being equally quick to get a more frequent local train. The S-Bahn is the train network. The U-Bahn is the underground network; good and frequent and easy to navigate. Much of it is overground, high line style, and is a great way to see much of the city. The city is zoned for public travel. You pay per trip, or if making 3+ trips a day then a travel card is better value. Get the correct ticket type for your trip; an “AB” ticket for travel within zones A+B, or an “ABC” ticket for travel within those 3 zones. S-bahn and U-bahn use the same ticket. The Berlin marathon expo is big, as you’d expect of a marathon major. Manage your energy well as you’re going to be on your feet for a good few hours and rack up a lot of steps. Oh, and bring water with you. The Tempelhof airport is incredibly atmopsheric. Vendors are set up inside and out on the airfield as well. There’s plenty to see and buy – it’s an expo. I loved the architecture and the setting, and I tried to be on my feet for as little time as possible so didn’t indulge. Very flat and fast; the seven most recent men’s world records have been set on the Berlin course. A point-to-point course taking in a big loop of the city. (No soul-destroying out-and-back sections. Loads of live bands and drum groups along the route; fantastic energy. The crowds are great and line almost the entire course. There are the usual high-fives and power-up signs. There’s great energy. For spectators it’s easy to make numerous stops along the route – due in equal parts to the circular nature of the course and the ease of the public transport. I saw my support team three times and there was opportunity for an easy fourth. Plastic cups at aid stations. So many discarded cups all over the road actually form a trip hazard. There must be a better solution. SCC Events did respond to questions on the topic and clearly evaluate options balancing environmental impact with runner’s needs. Timing chips on shoes? This was new to me and seems an unnecessary faff. I don’t get it. I worried it would come off during the race. Having to sit right after running 26.2 to unlace and remove it and hand it in is just more faff at the point you least want it. I was disappointed by the huge numbers of men peeing in bushes from the start line onwards. 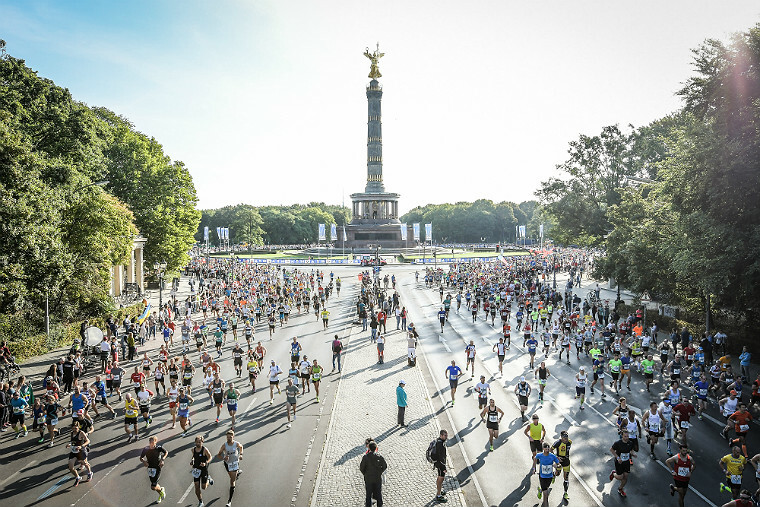 It’s an ugly side to marathons that seemed much more visible in Berlin. I’m gonna guess equal numbers of women feel the need too but just don’t do it. Women prove themselves better yet again – there’s little argument there I can see. The race shirt is available to buy separately. On balance I think that’s a good thing, but I reckon there’s a lot of disappointed runners feeling like it should be standard. There are several roundabouts and corners. I ran 26.5 miles, give or take, meaning I didn’t take a racing line. But then I didn’t weave around either since I wasn’t chasing a PB. 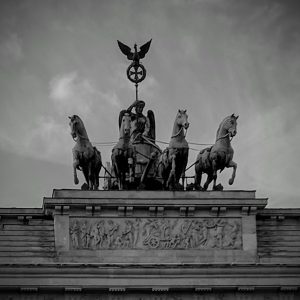 Victoria in a chariot atop the Brandenburg Gate. Great read. I concur with your thoughts on just how relaxed the atmosphere at the start was. 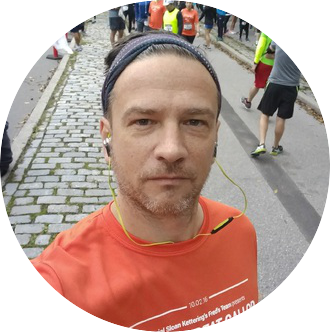 I was oddly relaxed in the days prior to Sunday (excluding the hours spent at Tempelhof on Friday) and the easy start meant I could relax and just enjoy my run. What a wonderful experience and a great review of this race! I always wanted to run an international half or full but worry that I would feel completely out of place. I’ve traveled a lot but never as a runner. So glad you had a wonderful trip. 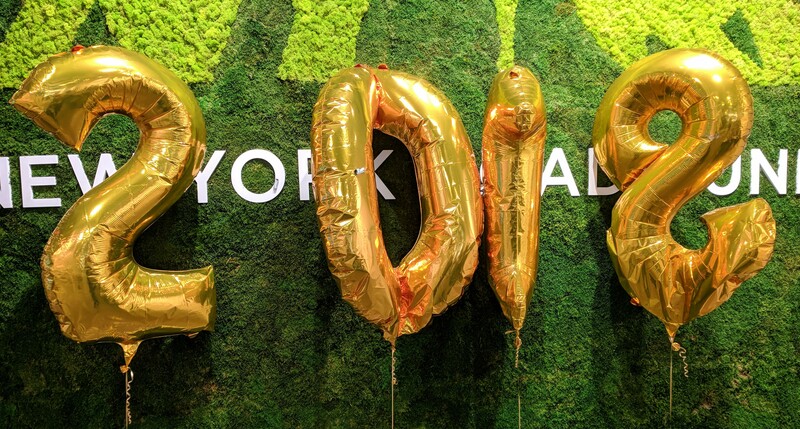 Looking forward to hearing about New York!